Wishing you a day full of smiles and laughter! Today I am sharing a new sweet treat recipe with you! I adapted it to use less sugar. 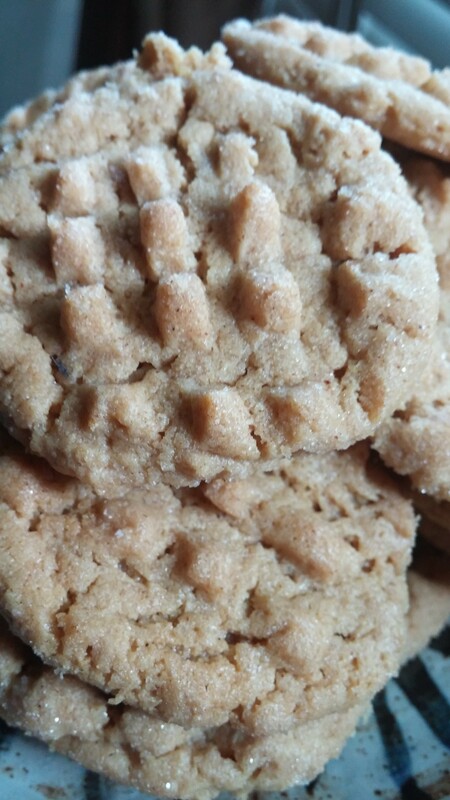 It is made special by rolling the cookies in cinnamon sugar, making them taste like a Peanut Butter Snickerdoodle! A must try for your summer picnics! ENJOY! Combine all the ingredients. Roll into balls, place on a parchment lined baking sheet. Freeze for 8 minutes. Remove from the freezer and roll in cinnamon sugar. 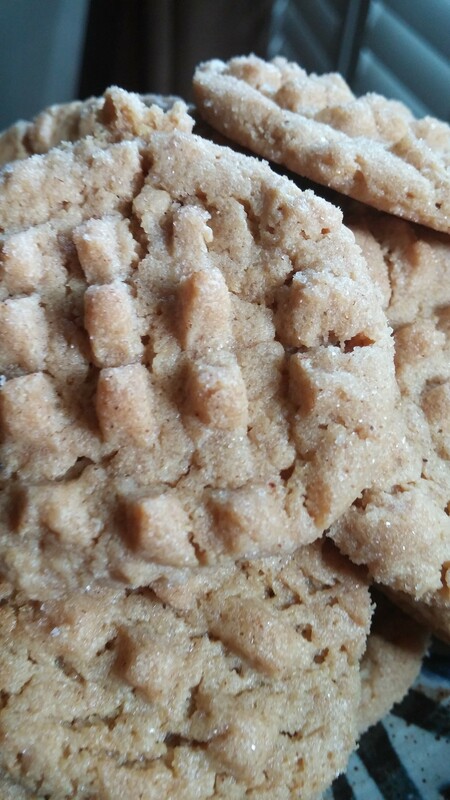 Dip a fork in the cinnamon sugar and press down both ways for a crisscross pattern. Bake at 350 degrees for about 8 to 10 minutes. The bottoms will look done but the tops will look a little underdone. They will set up as they cool. ENJOY!